After countless sushi sessions midday with my partner in food crime, I’ve developed a taste for a warm, yet delicate cup of sake. This warm rich treat has quickly become a staple with my spicy tuna roll. Now, as a self-proclaimed spirits connoisseur, I’ve gone to several whiskeys, beers and wines, but never have I ever made the effort to go out to taste sake. I decided to investigate. 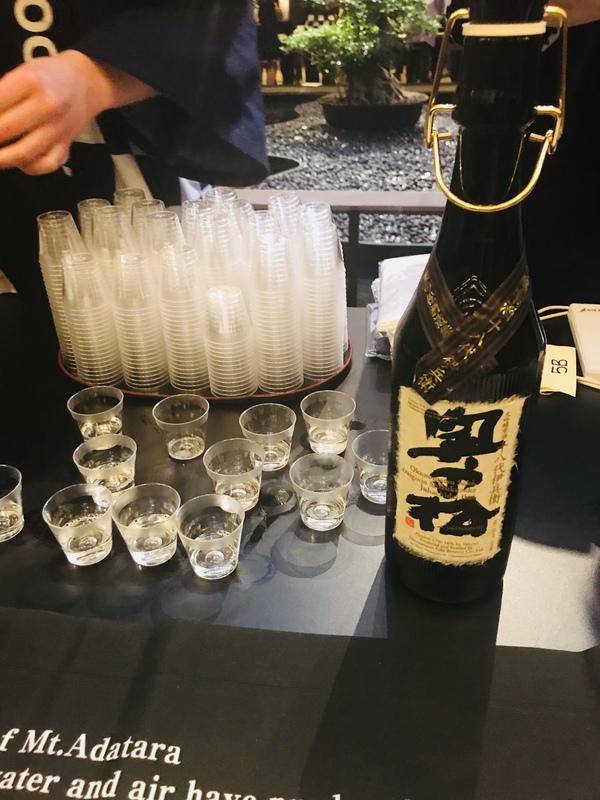 Each year the Japan Society hosts an annual sake talk and tasting with 30 types of premium sake. I knew I had to go. 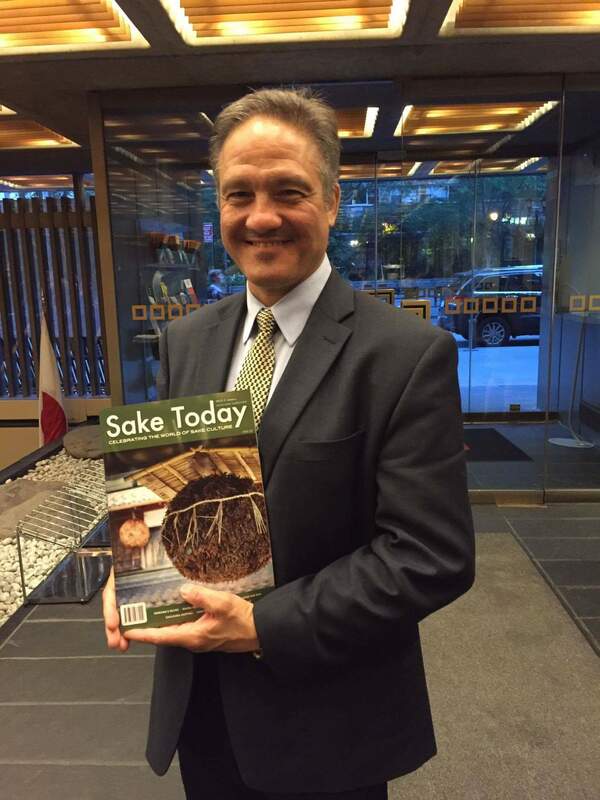 The night was kicked off by industry expert and Sake World editor John Gauntner with an informative discussion on the unorthodox variations of sake. Gauntner delves into the pros and cons of these sake anomalies and examines how they stack up against the tried-and-true standards. He went through the different types of sake and explained the different types of sake to the lively crowd. As he continues, it opened my eyes to the many different variations of this drink. I never heard of red sake. Sparkling sake? I did not know that it was a thing, but as he went on I knew I must try each variation. After some lively Q&A, John Gauntner invited each of the brewers on stage before the main event– the tasting. So after the presentation, it was time to finally try the different variations! The Japan society was arranged with several tables with brewers. They had all the northern sakes located in the north part of the building and the southern sakes in the South part of the building. The building itself is gorgeous with a bonsai tree in the build of a fountain. I carefully took note of each sake, in order to understand the different notes in liquid. Each was unique in its own way. As I went from table to table, I learned to distinguish different notes. I tasted crisp, citrus, and fruity sakes to name a few! The crowd became super friendly as we all tried the different brewer’s creations. 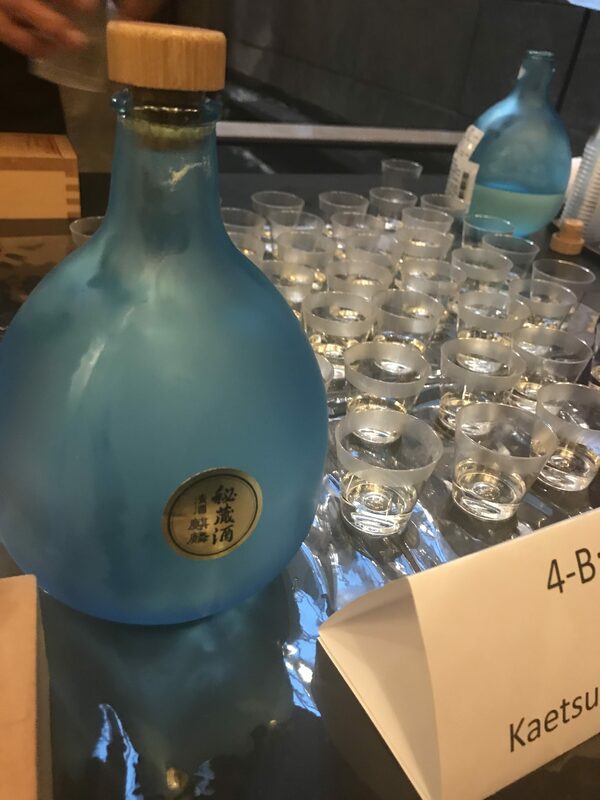 Some notable standouts included Kirin Hizoshu from the Kaetsu brewery in Niigata which was enclosed in a beautiful blue bottle that looked too beautiful to drink. The was a cold sake Hanagaki Usunigori Junmai Daiginjo that crisp and as white as snow. If you thought this event exciting, then the Japan Society is something you should look into. The Japan Society host many unique programs to immerse people into Japanese culture. It’s an American nonprofit organization supported by individuals, foundations, and corporations that bring the people of Japan and the United States closer together through mutual understanding, appreciation and cooperation. More than a hundred years after the Society’s founding, its goal remains the same—the cultivation of a constructive, resonant and dynamic relationship between the people of the U.S. and Japan. To learn more about the Japan Society for more information on programs and events atJapanSociety.org.